The Bulle MOLLE admin pouch is a one-stop solution for the storage of small, essential items in an accessible, MOLLE mountable package. The admin pouch offers several separated, velcro-closed pockets which can carry: mini-maglite torch, leatherman tool, pen or pencil, button compass, items from a small survival kit, identification papers and other assorted articles. 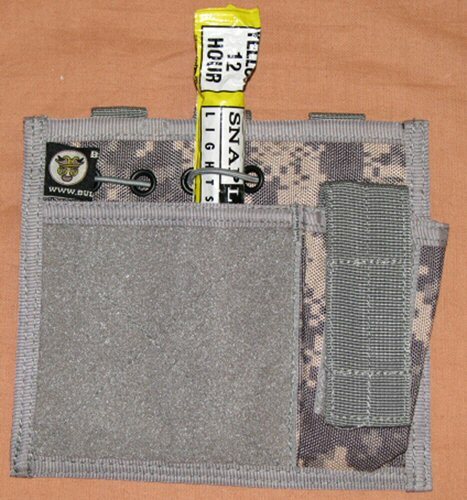 The pouch is velcro-fronted to allow patches for name, blood type, unit or nationality to be mounted easily. 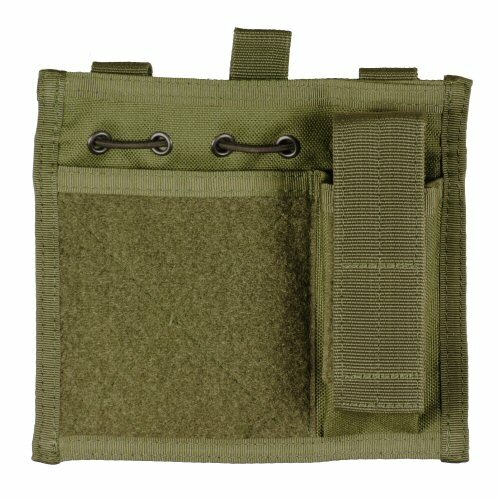 Usually worn on the front chest by US forces using this style of pouch, this increases the ease of identification of personnel. Made of 1000 Denier texturised Cordura. Price is for ONE admin pouch. Any accessories shown are for illustration purposes only and are not included with the pouch. 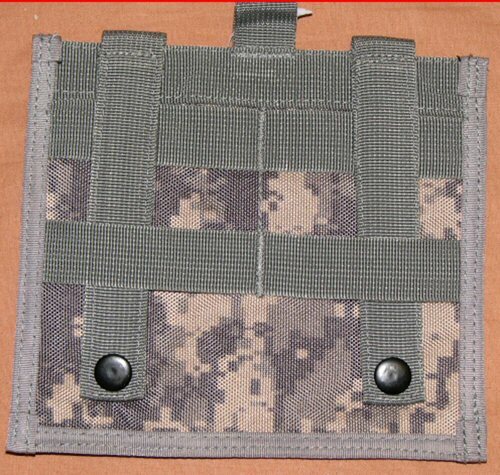 Front of pouch showing large velcro fixing area and pocket. The side pocket is large enough to fit a small stick grenade or pistol magazine. Elasticated loops in the rear pocket allow for items such as glowsticks, pens and whistles to be secured in placed to avoid loss. Rear of pouch showing the securing straps. The straps can be woven between both the vest base and the rear of the pouch for maximum stability and securing potential.